Roku 2 XS 1080p Streaming media player is a pretty cool streaming device. This is an older model, but still works great. This model will run a person around $65 dollars. This device is about the size of a hockey puck and streams pretty quick. What I really like about this device is that no one is left out of the loop. If you have an older model TV, you can still use this system to stream your favorite entertainment. This particular product is for anyone who wants to stream. I mean anyone because like I said prior, even if you have an older model TV, it comes with the cables for the older model TV. There is one problem with an older model TV is that you won’t get the high definition that you may get with an HDTV. I know some people don’t care too much about HD, I personally don’t. For me I just want to watch my show or movie with my popcorn. Streaming devices are not like your cable or satellite services. If you’re unfamiliar with streaming devices, you should Google Hulu the free version and just take a look around. I know when I first started streaming, I had to get use to the idea of sifting through channels a little differently. It’s almost like having your tablet on your TV and you have a remote. This is the best way I can describe it. What I like about streaming devices is that, you can select what you want to watch and when. I felt like I was in more control of what I wanted on TV. What was a bummer is that some services like Hulu Plus or Netflix doesn’t offer some of the latest shows that are aired on your cable or satellite services. If you have a show you “need” to watch you may not want to consider cutting that cord just yet. You may want to check with a really cool service that I recently discovered called Can I Stream It. This service will tell you which TV shows are available for streaming and what streaming services offers that show or movie you want to watch. Just because you have cable or a satellite service, I personally wouldn’t eliminate purchasing a streaming device. Lot’s of people use both. Some people prefer to use their streaming device to watch what they want and when. Other people like the fact that they are able to turn their TV even if it’s an older model TV into a smart TV. Don’t you hate it when you purchase something and the items, you need, are not included? You are all excited to use it then you realize that you actually need to buy something else to use it? Yeah, me too. So let me save you the trouble and tell you straight up what is included. Credit card or Paypal payment may be required for membership channels. If you want to add music, play more games you may want to get an SD Card. This will allow you to have more storage for your Roku 2. I have other devices that I use to play games or listen to music so this wasn’t troublesome for me. What Kind Of Apps Do I Get? This streaming device has an app store where can download a membership or free services. The popular ones, that people like to use, are Netflix and Hulu Plus. You can even go onto Facebook from this device. The downside to Roku devices is that they don’t provide YouTube. This can be a make or break part for buying Roku. I know I love my YouTube, some people don’t care. I found Roku 2 to be a great product to stream your movies or shows. Many people are cutting their cords because of the savings they get when they purchase a streaming device. These services are still new, so I recommend if this something you want to do, you should gradually build your way towards it. It just depends on your lifestyle. 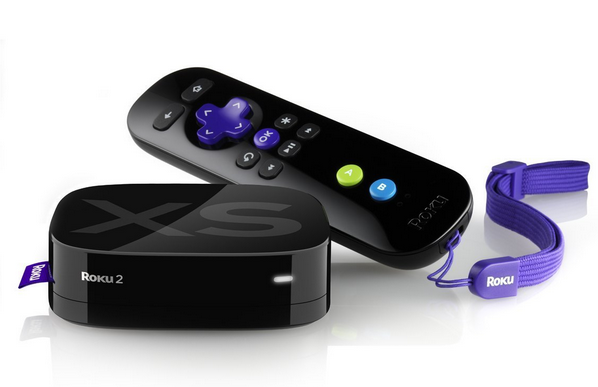 If you’re interested in purchasing Roku 2, you can check it out here. If you have any questions or comments about Roku 2 xs 1080p streaming media player, don’t hesitate to ask below. how can i set up amazon fire to my ROKU. Hey Sandi, what you need to do first is make sure your ROKU is updated, then if you don’t see Amazon Fire within your apps, you can search for it and download it. You’d think for the price they may as well throw in the HDMI cord. I also dislike when things aren’t included – but at least you are spreading the awareness so that consumers can plan ahead and purchase that cable beforehand. Looks like a nifty little gadget, though the no you-tube is a bit of a bummer. I agree, I think Roku should throw in an HDMI cord. It’s a pretty cool gadget for people interested in streaming from their TV, even if it’s one of those old TV’s we may have in the garage. You bri-g up a good point. Sometimes older technologie is better. I have older tv’s in my home and they work great, look good and give me no reason to replace them. With this perticular device I wouldn’t have to upgrade. Great review on Roku. A lot of people I know are enjoying it. I have not been able to convince my wife to cut the cable cord yet, though. I was not aware you could use it with older models. Thanks for pointing that feature out. No problem, Some people just are not ready to change. I know a lot of people, especially sports fan, don’t want risk missing their games. Very nice looking website you have! A funny post, with nice use of imagery, however I would have liked to seen more content!